Watch. And Learn! 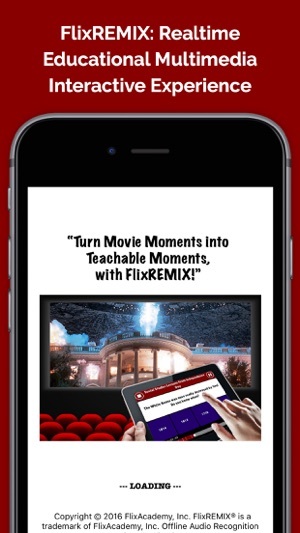 FlixREMIX® turns Movie Moments into Teachable Moments! Watch a movie on a big screen (iPad, TV, projector, even movie theater!) Run FlixREMIX on a Second Screen and FlixREMIX syncs with the movie to show & speak Expert Commentary with Interactive Quizzes! Don't just watch a movie... Watch. And Learn! with FlixREMIX! FlixREMIX is great for teachers (especially substitutes and home schoolers), parents (who want to give their kids an advantage) and for students! Turn a Hollywood movie into a truly educational experience. 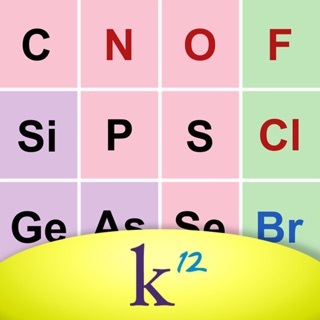 Students want to be entertained, but now they can learn at the same time, using the technology and tools they prefer. Don't use TV as an electronic babysitter... with FlixREMIX, movies become interactive, educational and engaging! 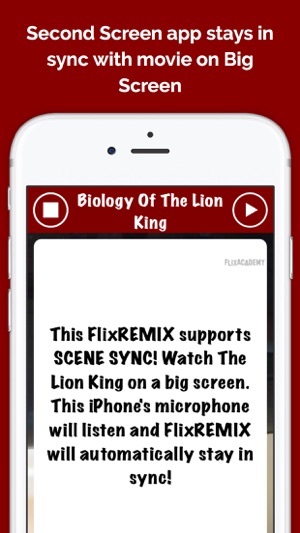 Several FlixREMIX lessons use SCENE SYNC, enabling the app to stay in sync with the movie, by detecting the audio. It's like magic! 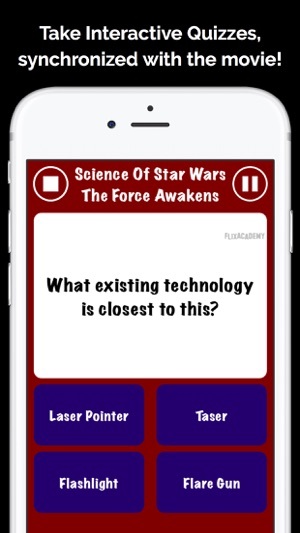 FlixREMIX movie-based lessons are available for a wide variety of topics, such as The Science of Star Wars: The Force Awakens, Social Study Lessons from Independence Day, Real World Math in This is Spinal Tap and more! Plus you can create your own FlixREMIX lesson plans quickly, easily, and for FREE, at http://FlixAcademy.com. 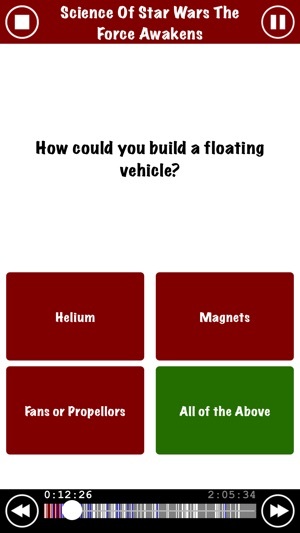 We welcome your suggestions, for movies and app features, at info@FlixAcademy.com. 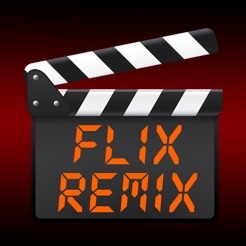 FlixREMIX is a Registered Trademark of FlixAcademy, Inc. Patent Pending. We make FAIR USE of official cover art, through our Affiliate status with our partner, Amazon.com. Offline Audio Recognition by ACRCloud. An email login/password is OPTIONAL but required to use "Red Carpet" mode premium features. If you do opt-in, you will receive occasional product news but can always opt-out. Major Update! Improved Audio Recognition works offline, WITHOUT Internet, so you don't have to worry if your school has limited coverage.